What has happened to Gustavo Quinteros' Ecuador side? First after four rounds, Ecuador have now slipped to fifth in the CONMEBOL World Cup Qualifying table. After four rounds of South America's World Cup qualification campaign, Ecuador were the surprise runaway leaders, proudly boasting a 100 percent record. But after the four subsequent rounds, their position is not looking so healthy. They needed a stoppage time equaliser, with more than a hint of offside about it, to salvage a draw at home to Paraguay, which has been followed by three consecutive defeats. The one-time leaders are now down in fifth place, outside the automatic qualifying slots. Over a marathon campaign -- which began last October and stretches to October 2017 -- it is natural that oscillations occur. No team can manage to remain consistent across all 18 rounds. Indeed, the key to qualification is shrugging off the bad times, regrouping quickly and recovering momentum. But in Ecuador's case, the decline has been so dramatic that it is tempting to look for deeper underlying causes. One theory which is beginning to be voiced in Ecuador is that the team no longer derive the same benefit from playing their home matches at Quito. The country's capital has been their mountain fortress, with visitors seldom relishing the altitude of 2,800 metres above sea level. The idea is, though, that increasingly the Ecuador players are themselves becoming visitors. The recent rise of the national team has put them in the shop window and more and more of the squad have been sold abroad. Two decades ago, the idea of an Ecuadorian in top class European football was almost unthinkable. Now there are plenty. Four of the current team make their living in England's Premier League. Altitude affects different people in different ways, and, it is argued, some of the Ecuadorian players are no longer accustomed to conditions which, consequently, no longer represent an advantage. There may well be something in this. But it is clearly far from the whole explanation. A year ago, in the opening round, Ecuador beat Argentina in Buenos Aires -- at sea level. How could a side capable of winning away to Argentina now be capable of losing away to Peru? Perhaps the truth lies in a simple observation. Ecuador have a relatively small pool of top class players to choose from. A year ago, the key players were firing on all cylinders. Now, too many of them have lost form or are unavailable. One area where they lack strength in depth is in defence. Coach Gustavo Quinteros has tried to hide the problem by having the team defend higher up the pitch, further from their own goal, with the back line close to the holding midfielders. 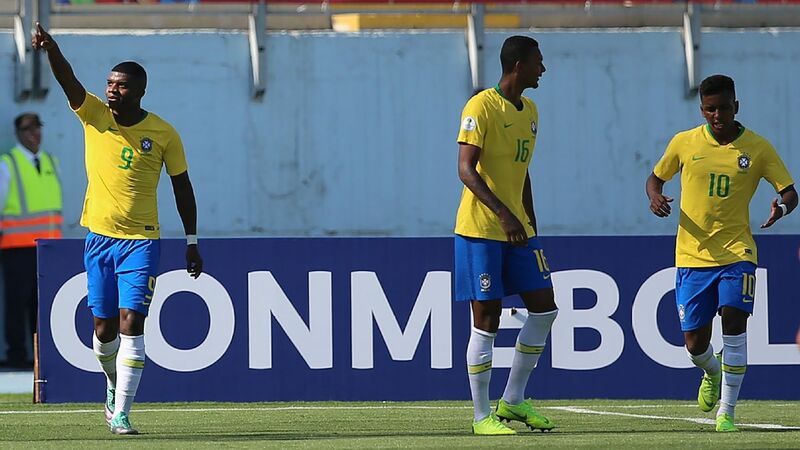 In these last two rounds -- defeats to Brazil and Peru -- leading centre-back Frickson Erazo was injured. In his absence, Arturo Mina and Gabriel Achilier were at times unsure of where to defend. They were scared to push up too high in case their lack of pace was exposed. Moreover, left-back Walter Ayovi is now 37, and past his marauding best. Gustavo Quinteros has plenty to do to get Ecuador back to their best. In central midfield there is a clear problem of a lack of a partner for Cristian Noboa. A few have been tried out. 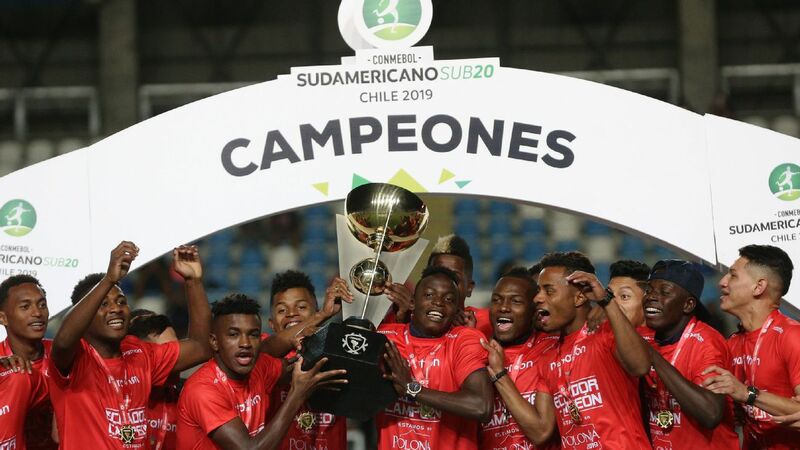 Maybe the baton will now pass to Jefferson Orejuela, who had such an impressive Copa Libertadores campaign with surprise runners up Independiente del Valle. And there is also a problem in the front line, where Ecuador theoretically are strongest -- and looked very good indeed in those first four rounds. Too many players have lost form together. Juan Cazares, such an interesting substitute with his probing passes against tiring defenders, is an injury casualty. The versatile Miller Bolanos has yet to settle after a move to Brazil. Left-winger Jefferson Montero remains the team's most potent attacking weapon, but too often his end product is disappointing. And more than anything, there is the case of Enner Valencia. After being converted from a right-winger to a striker, his career took off. He became a feared goalscorer in Ecuador, then in Mexico, then for the national team, and earned a move to West Ham, where he started brightly. But injuries seemed to have undermined him and robbed him of confidence and momentum and he's just been loaned to Everton. Ecuador will hope he is fit in mind and body for next month's crunch meeting with Chile.